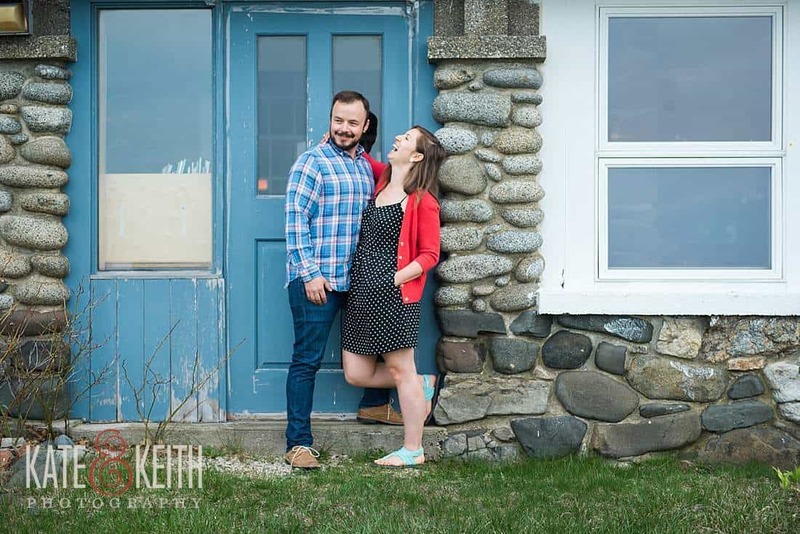 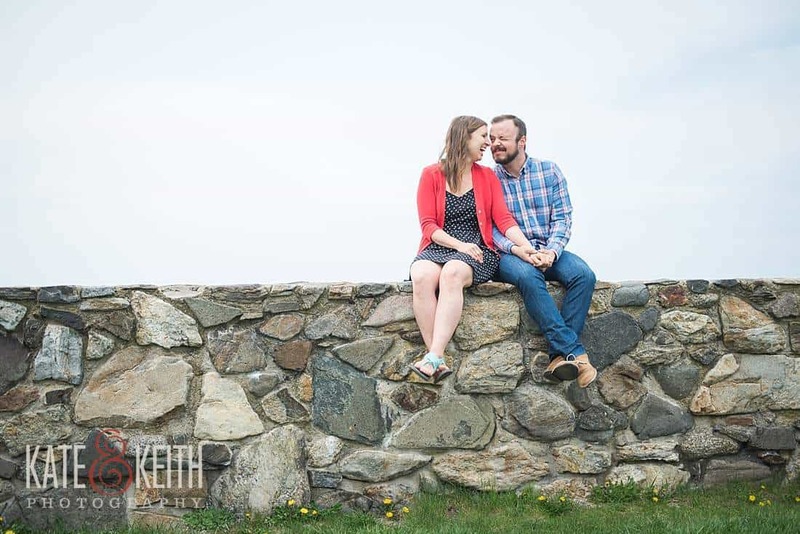 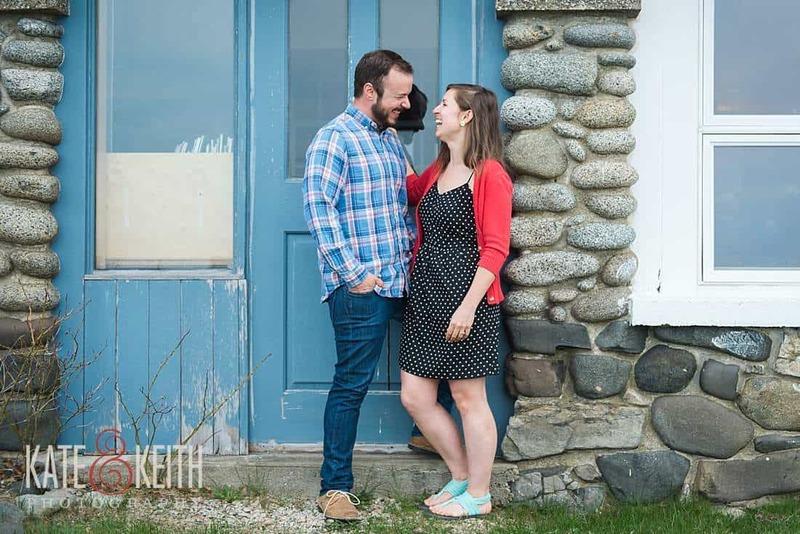 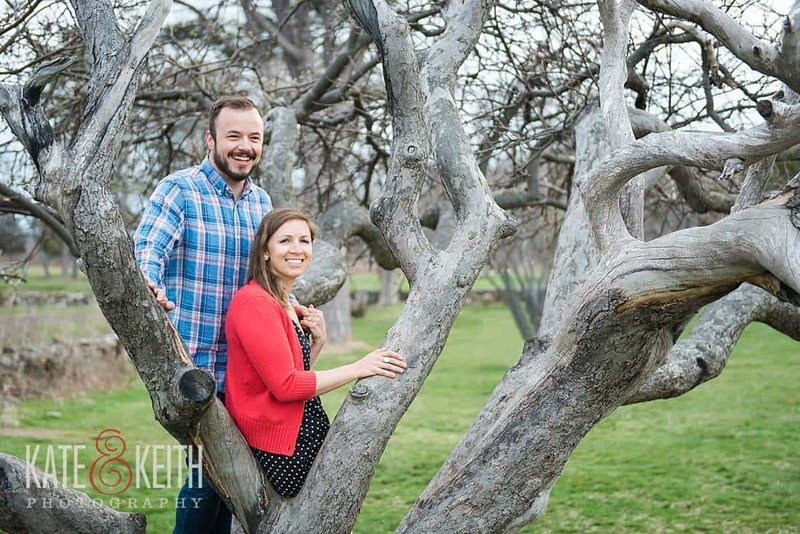 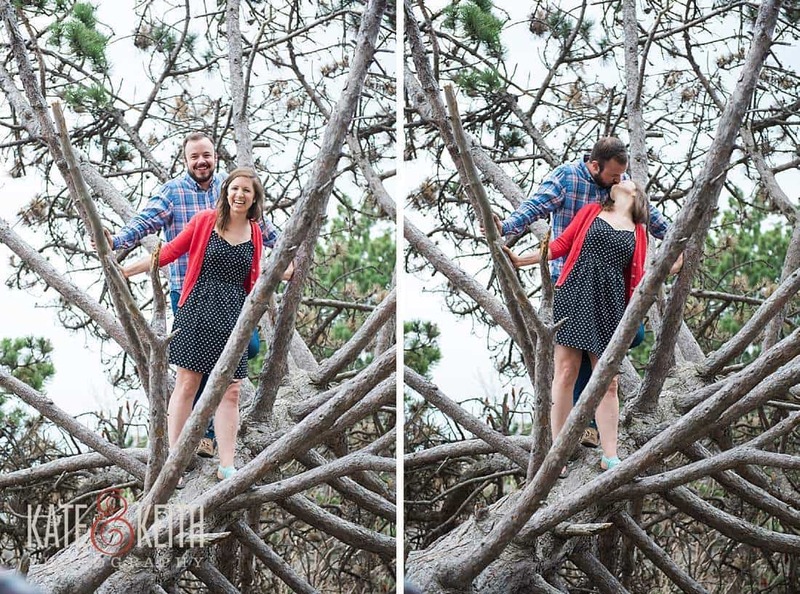 Even on an overcast day Katie and Mike rocked this NH Seacoast engagement session! 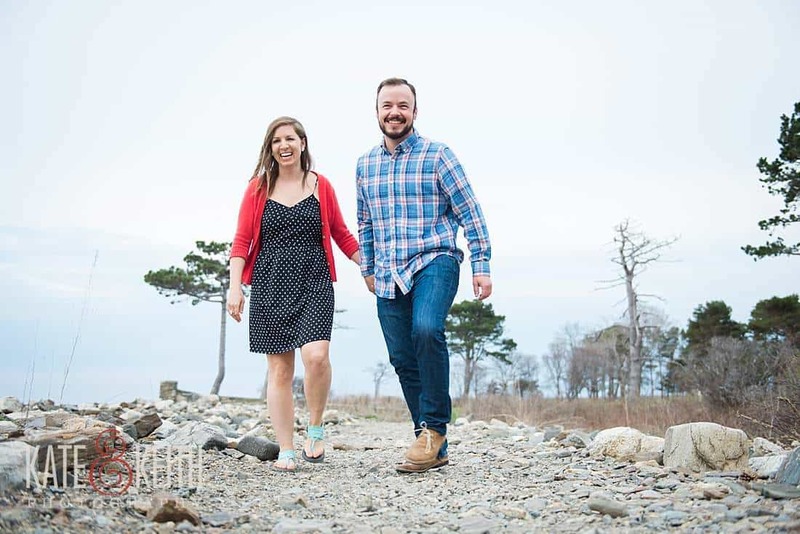 They live in Portsmouth with their two pups Barrett and Stella. 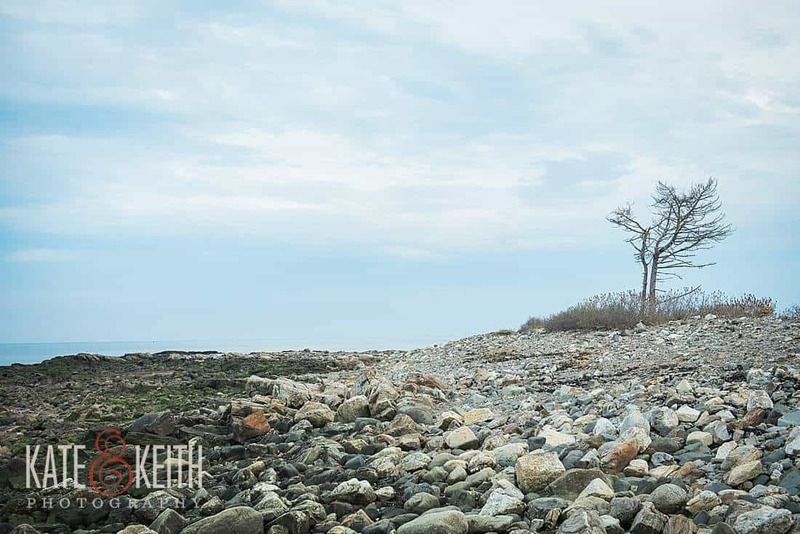 Odiorne Point in Rye is their go-to place for dog walks, but today they left the furballs at home and had the ocean front park all to themselves! 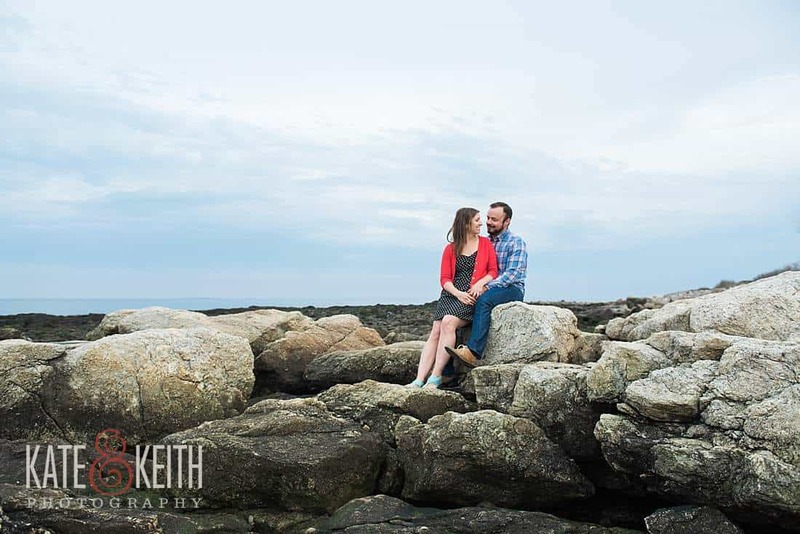 Being true Seacoast lovers, this peaceful spot was the perfect place to let their personalities go wild, and boy did they! 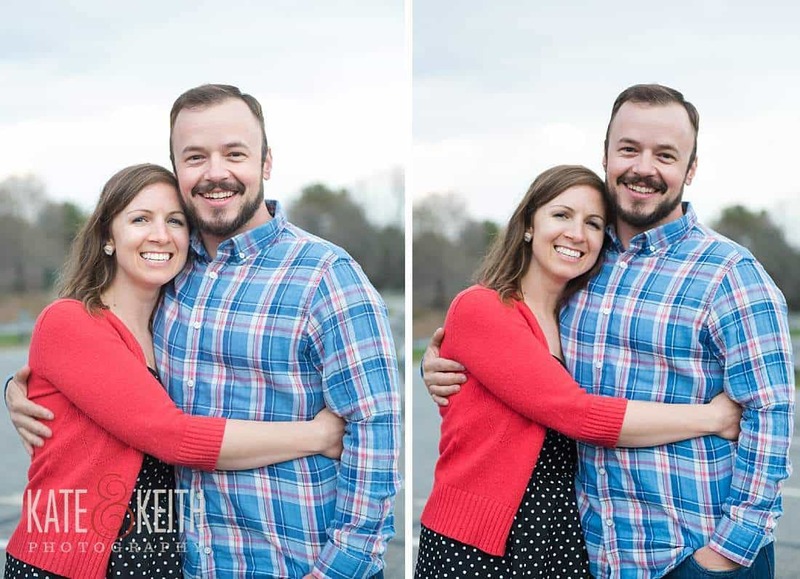 Mike works for Sam Adams and Katie is an 8th grade teacher. 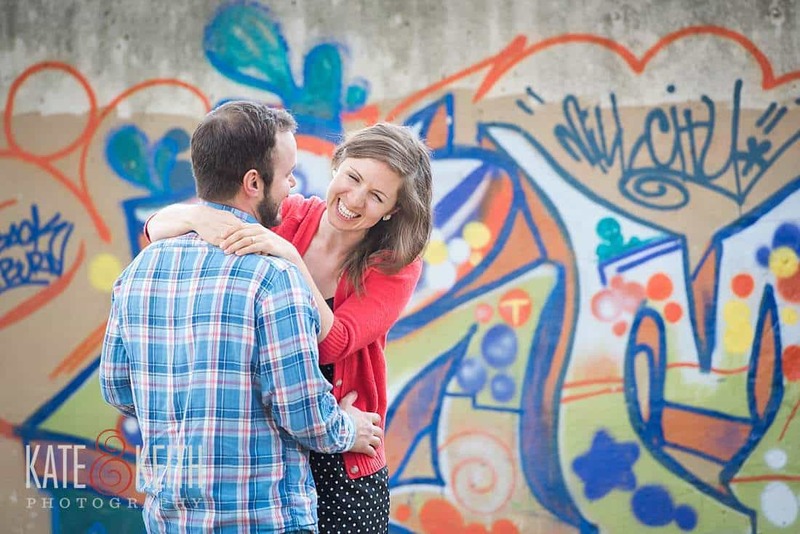 Both coming off long days, Katie’s involving a flash mob, they were a bit punchy and full of laughs. 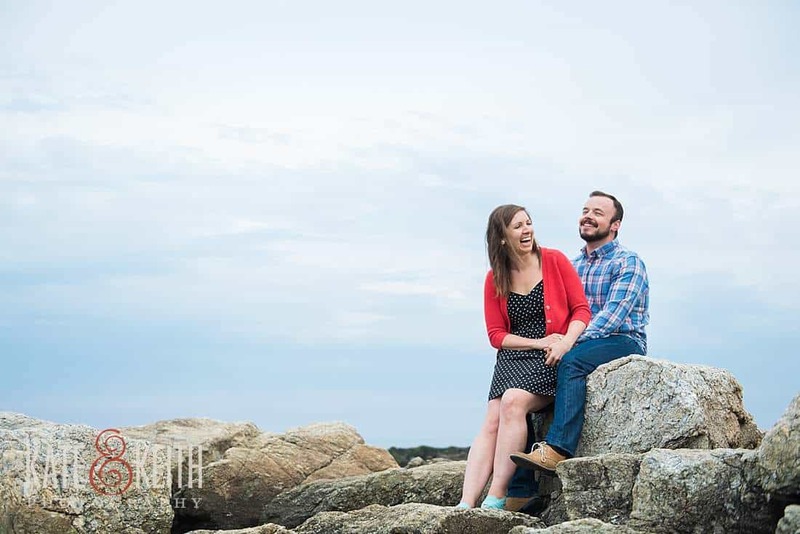 We had way too much fun aimlessly wandering around the beach and old fort, chatting about our shared love for Sanuk sandals (which Katie and her bridal party will be wearing on day of) and Mike teaching us a new trick with our Nikons (he’s quite the awesome photographer himself!) 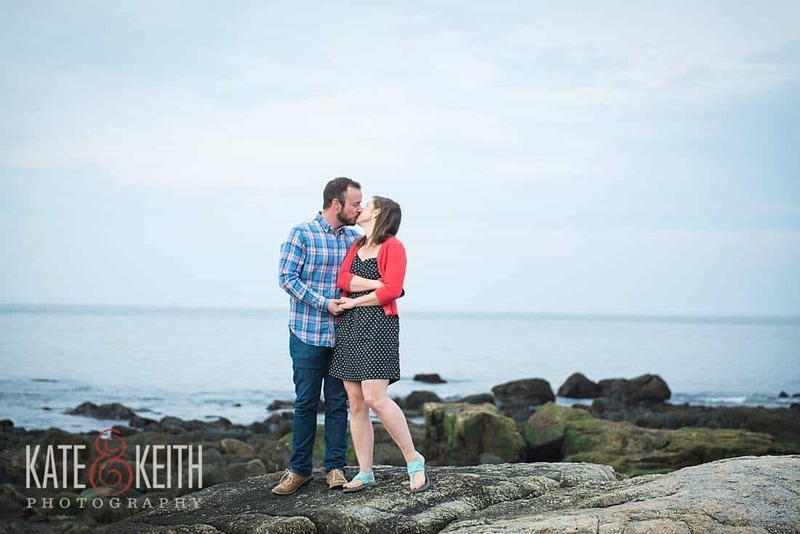 The only reason our session ended was the darkness, otherwise we’d still be out there! 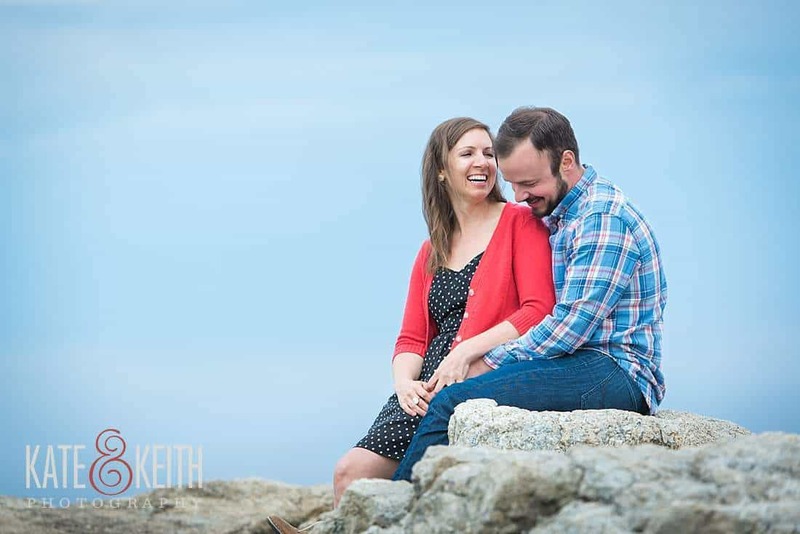 The two brought an overcast day to life with their endless laughter and sense of adventure. 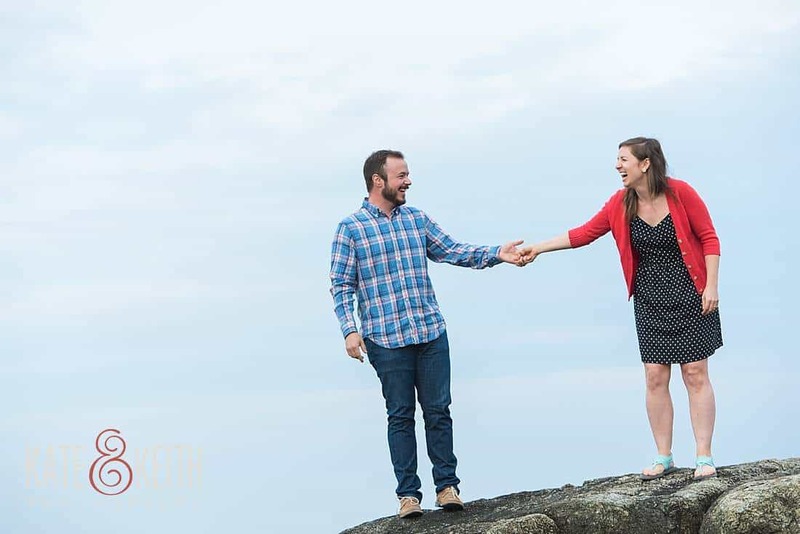 Their wedding in Waterville Valley is going to be one for the record books, complete with a campfire and pre-wedding hiking. 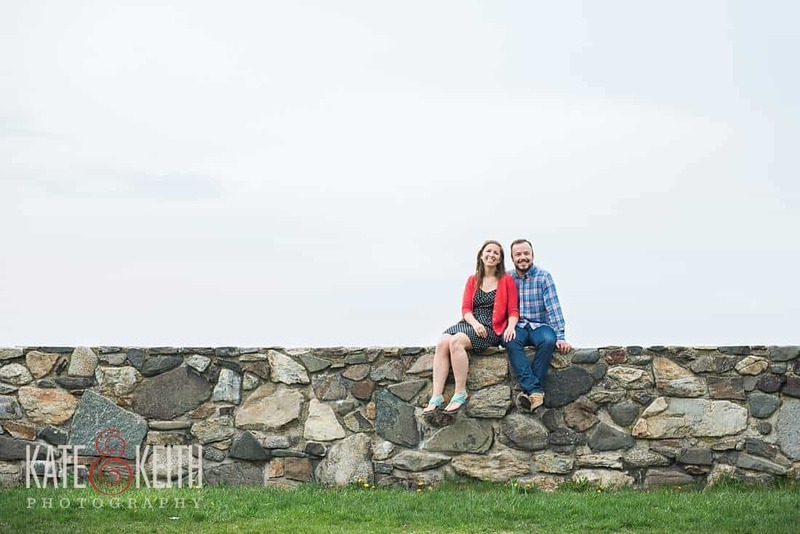 We are already wishing it would last more than just a day! 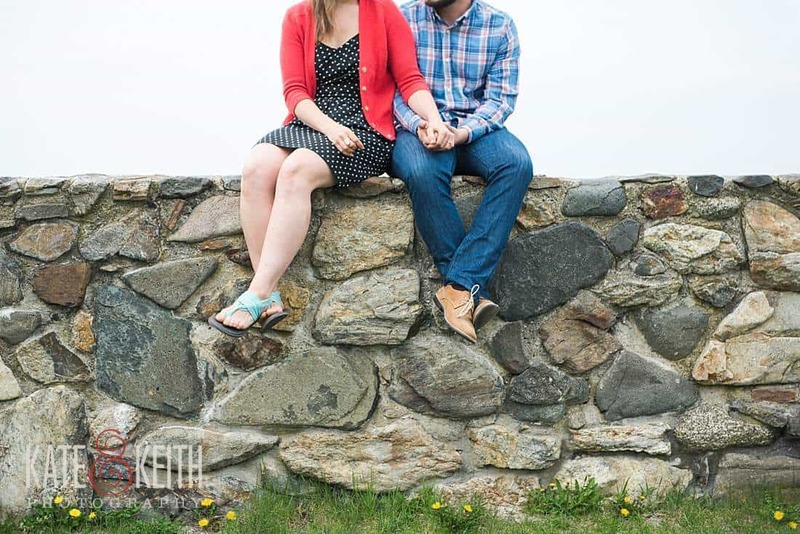 But until their amazing day in the White Mountain valley, we’ll keep reliving the Seacoast engagement shoot! 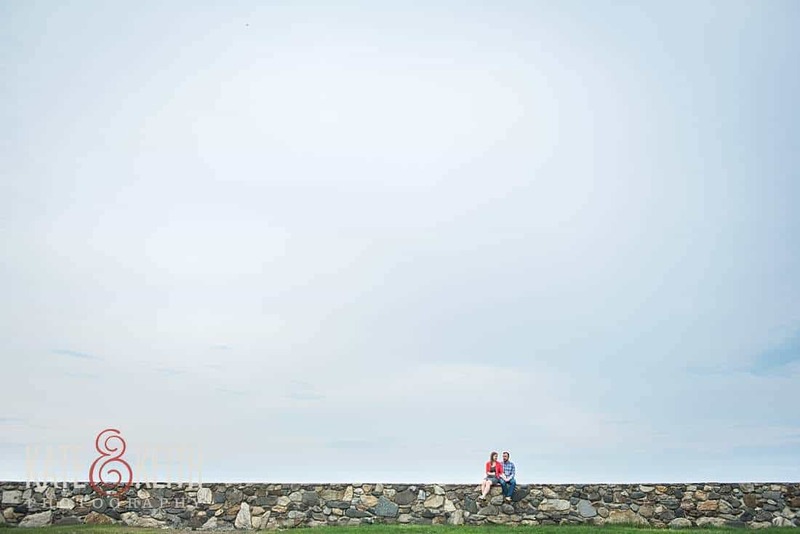 We have our fingers crossed that the bad weather is out of way now and their Waterville Valley wedding will be full of sun! 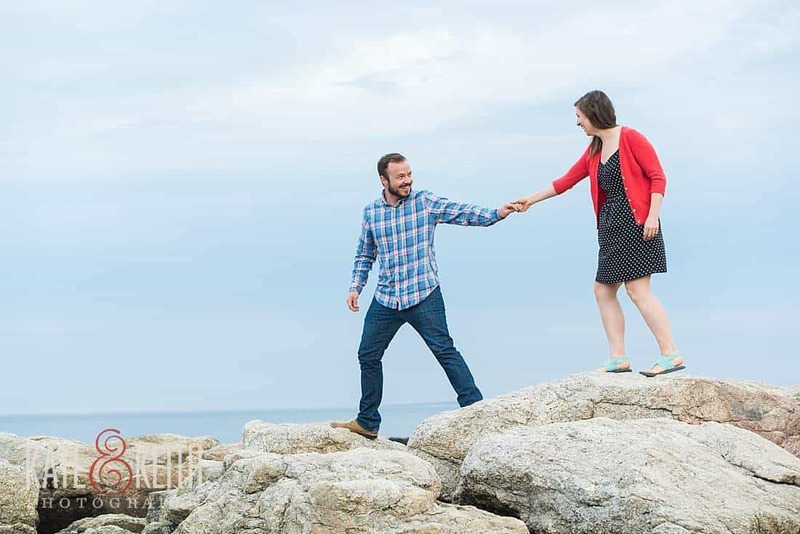 However, the NH Seacoast is rarely a downer, no matter what the day brings! 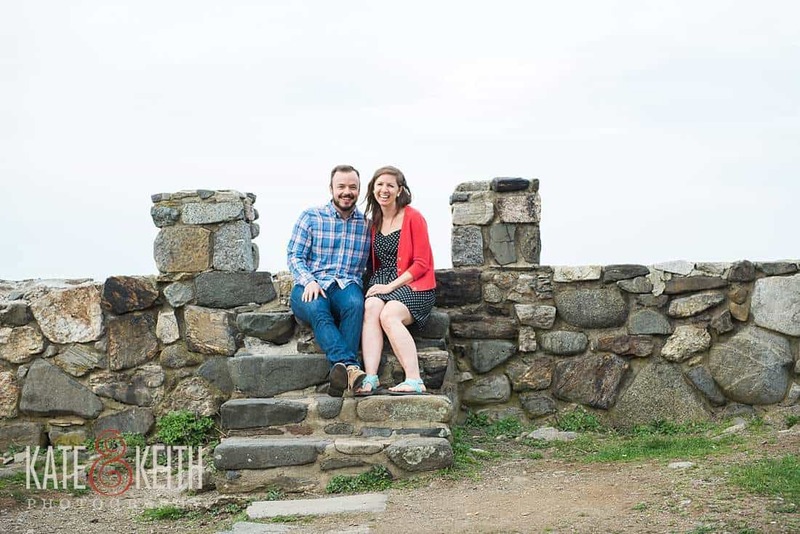 The rocky coastline, historic structures, trees begging to be climbed, and oh yeah, a few photos to be taken! 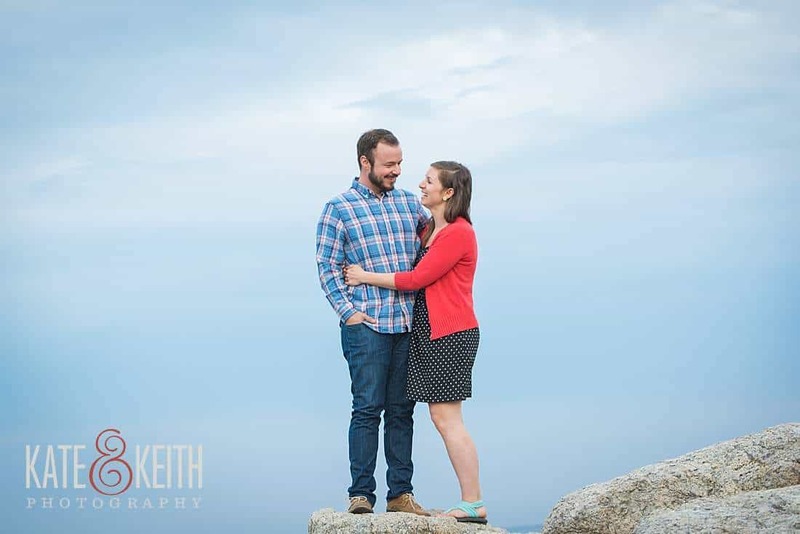 There’s a reason why the New Hampshire coast is one of our favorite place to photograph! 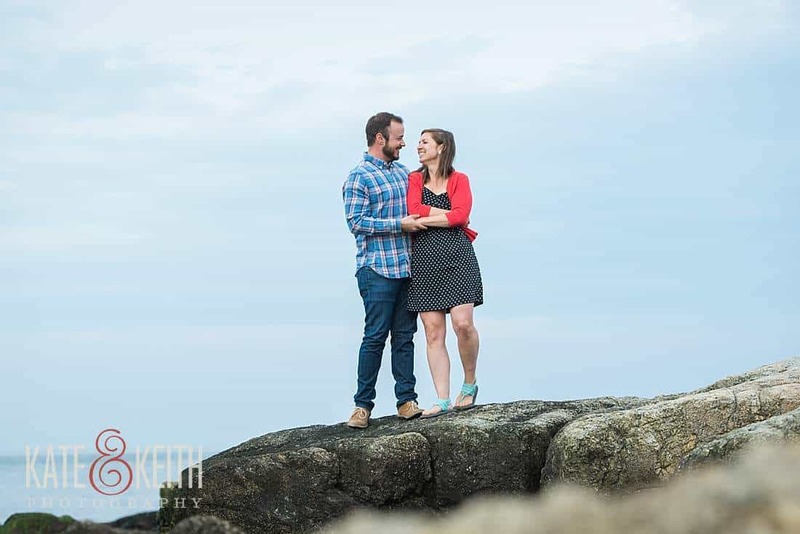 Katie and Mike, thanks for such an incredibly fun time, a chance to experience Odiorne Point through your eyes and most of all, a great opportunity to get to know you both!! 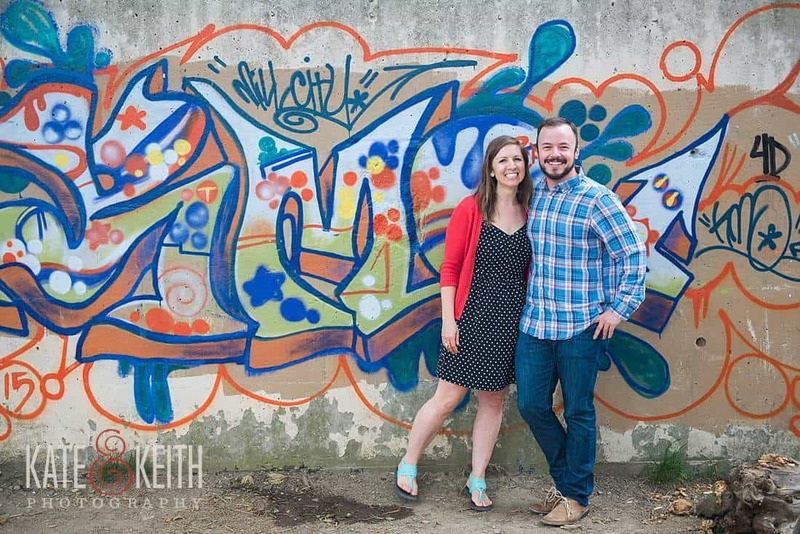 See you two in July!! 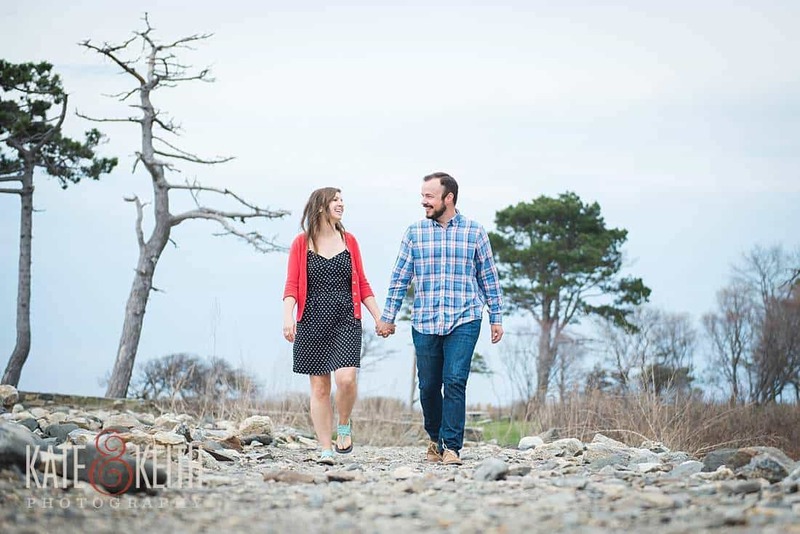 Are you looking for a photographer for your NH Seacoast engagement session? 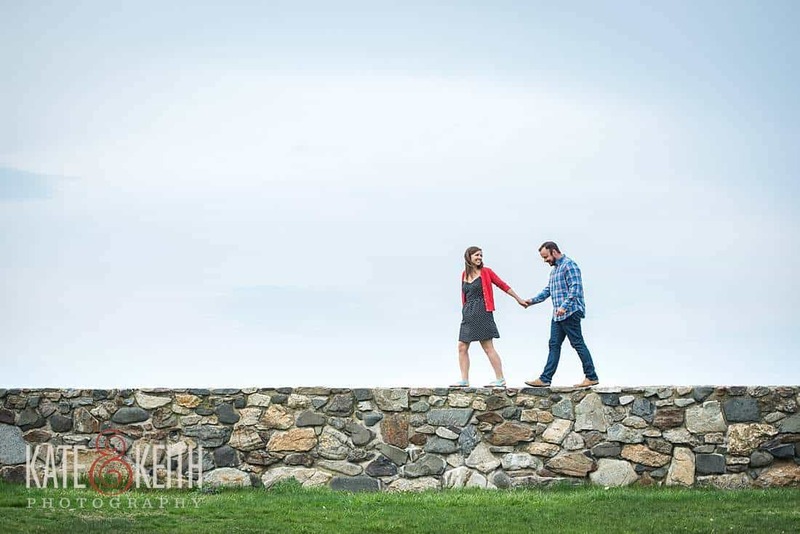 Please contact us, we love the seacoast!